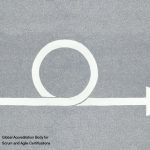 New Scrum Masters might be apprehensive about the role that they might play as future Scrum Masters. However, certified Scrum Masters need to truly understand the responsibilities of a Scrum Master to realize the vital role played by them. The success of a Scrum project rests equally on the shoulders of the Product Owner, the Scrum Master, and the Development team. While the Product Owner and the Development team have their clearly established roles and responsibilities, it might seem that a Scrum Master performs only support roles such as coordinating meetings, removing impediments that are plaguing the team, or shielding the team from interference from the Product Owner. This might make the Scrum Master seem like a glorified nanny. 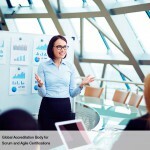 Even organizations too sometimes view the Scrum Master role as a part time role. There can be several reasons why Scrum Masters are part time roles. 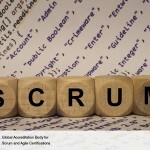 The organization might be short of human resources to have a dedicated Scrum Master or the organization does not consider the Scrum Master’s role worthy of a full time role. There is an obvious conflict if a developer also performs the role of a Scrum Master. This takes away the objectivity that is required in a Scrum Master while dealing with issues related to the Product Owner or even internal conflicts. So, let’s focus on the issue where the role of Scrum Master is not considered substantial enough to be a full time role. 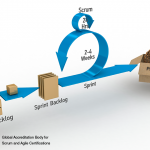 Sprints in Scrum, unlike stages in waterfall, are intensive periods of activity where development takes place. Any impediments that are not resolved immediately can have an effect on the success or failure of a sprint. The Scrum Master not only resolves impediments as and when they arrive, but also has keen foresight to spot potential issues and create an environment that can help avoid any issues to occur. The Scrum Master undoubtedly assumes the role of a leader. He coaches and mentors team members both at an individual and a group level to get the best out of the team. He also ensures the team collaborates smoothly and the team delivers what they committed to. It might seem that a Scrum Master’s responsibilities are vague and general. However, most of the Scrum Master’s responsibilities are performed behind the scenes that require a strong understanding of multiple dimensions such as people, domain, and business requirements.